If you’re a binge drinker, take a quick look at your hair. Is it thin and lifeless? Does your hairline seem to be receding? Whether you're male or female, your drinking could be the reason you're losing your locks. According to one study, being a heavy drinker can do major damage to your hairline. Binge drinking is defined as consuming a large volume or quantity of alcohol in a short time period such as one day, or over the course of a few days to weeks. On average, this means consuming about 4 drinks for women and 5 drinks for men in the span of 2 hours. But one episode or binge drinking session is not enough to result in hair loss, though it may cause noticeable dry, dull, brittle hair. Chronic binge drinking is the culprit to hair recession, and it happens when the amount of alcohol consumed and metabolized by the body puts too heavy a toll on one’s physiological balance. Did you know that binge drinking can actually contribute to thin, lifeless hair and a receding hairline? This is bad news for men and women both. But why is this? Read on for more information about the link between drinking and the health of your hair and scalp. The devastation that long-term alcohol abuse can have on the body is real. When a person binge drinks or consumes large amounts of alcohol over time, the body undergoes immense stress in a variety of ways. The result of that stress can lead to hair loss. During binge drinking, many people either do not eat enough, or eat foods that contain no real nutrition and may be high in saturated fat content. Stress, improper nutrition and binge drinking make for a terrible combination in the body. Too much alcohol with the wrong kind of nutrition can really damage the one’s vital nutrients, which can deplete the person of vitamins and minerals that support healthy hair, skin and nails. Poor, thin and fine hair, and hair loss can be the result of a poor diet combined with excessive alcohol consumption. Because alcohol prevents the body from properly absorbing vitamins and minerals, drinkers tend to have deficiencies in multiple areas. One of the vital minerals the body needs for healthy hair and scalp is Zinc. 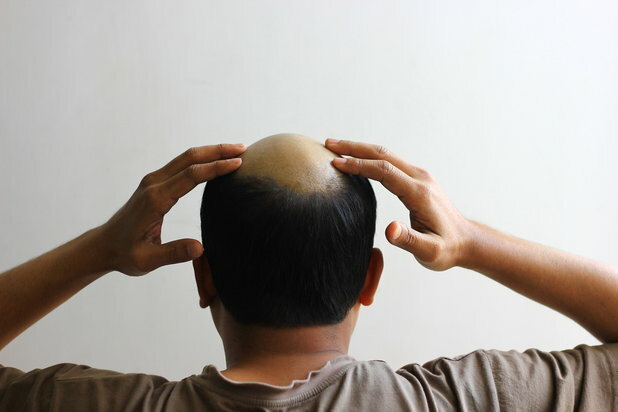 Too little zinc levels in the body can cause hair loss to the hairline for men. For women who binge drink, estrogen levels may raise to high levels, which can lead to hair loss. Binge drinking also creates another major issue, one that most binge drinkers and alcoholics suffer from: dehydration. Large amounts of alcohol consumption can accelerate dehydration, while lowering the body’s ability to regulate hydration. Hydration is essential to keeping the body functioning properly as well as for healthy growth of hair, skin and nails. Although chronic binge drinking can result in hair loss and thinning hairline, it isn’t the direct reason. Rather, it’s a major contributor to the the loss of vital minerals and cause vitamin deficiencies that can lead to thinning hair. It is, essentially, your body reacting to the fact something has to change. All is not lost, however. Thinning hair due to excess alcohol consumption is usually temporary and occurs only while alcohol is being consumed over a time period. Quitting drinking, maintaining a healthy diet and paying attention to proper nutrition while hydrating properly can all have beneficial results on hair, skin and nails. Your hair may become thicker over time and return to normal. If you find yourself unable to turn down the booze, then it’s time to ask yourself why. Are you using it to cope with stress or anxiety? Are you willing to cut alcohol out in order to get your hair back to its natural and healthier state? Most importantly, are you even able to quit? 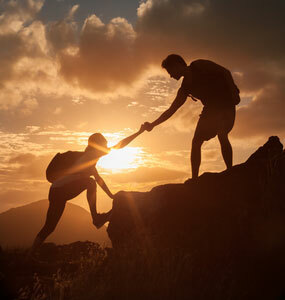 If you or someone you know is struggling to get sober and require professional help, here’s a directory of treatment centers by state or feel free to contact 800-772-8219 to inquire about addiction specialists in your area.